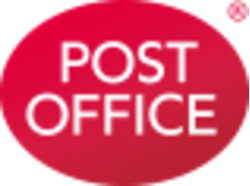 Want to see all the technologies used by postoffice.co.uk? At the Post Office our aim is to provide you with the things that are important to you – from your mail to your broadband package, your car insurance to your savings account. Whether you pop into a branch or shop online, you can be sure all your needs will be handled with care. That’s the Post Office promise. For a quick look at additional technographic info on postoffice.co.uk or any domain on the web, download our Chrome Extension. Check out our help article to see how Datanyze Insider can help you.